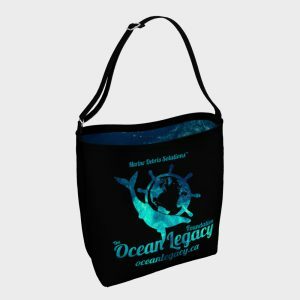 The Ocean Legacy Foundation > Info > Blog > The 2nd Annual 14 Day Upcycle Challenge was a HUGE SUCCESS! Thank you! The 2nd Annual 14 Day Upcycle Challenge was a HUGE SUCCESS! Thank you! 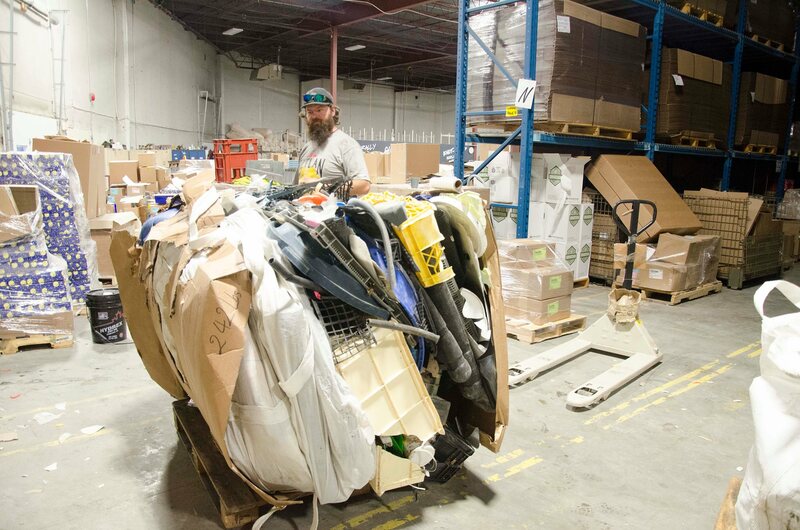 Our 2nd Annual 14 Day Upcycle Challenge was a HUGE SUCCESS! A big thank you to all involved! 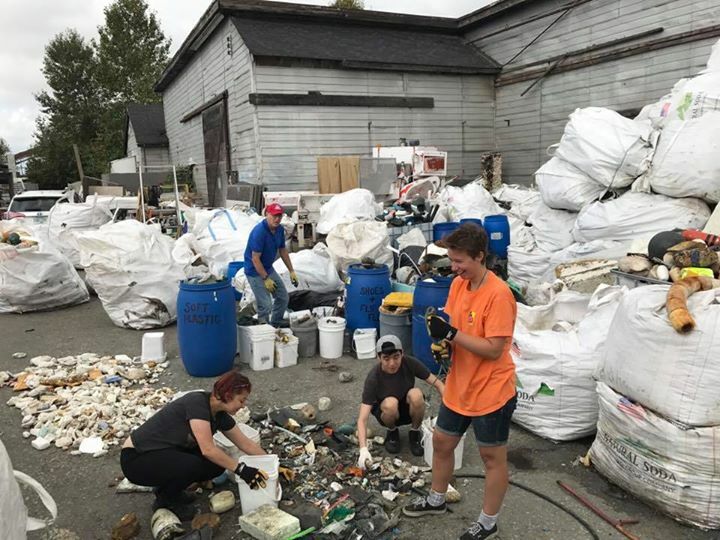 Over the spring and summer of 2017 marine debris and driftage items were recovered from the remote wilderness of Vancouver Island, the Gulf Islands and residing waterways. 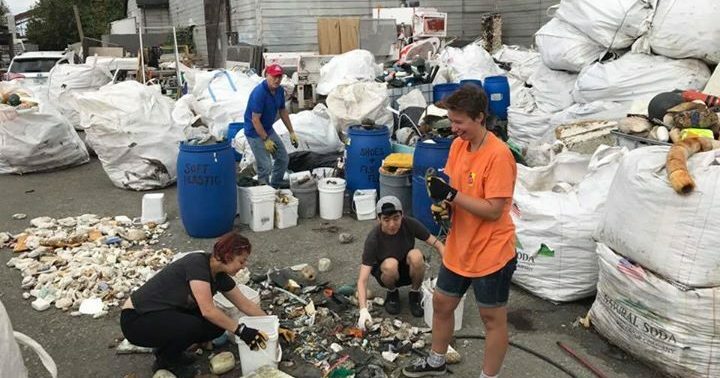 During this time hundreds of volunteers and sponsors contributed to large scale cleanup operations to remove marine debris and drfitage along the West and East coasts of Vancouver Island. Loads of debris have been transported to our new debris in-take centre located in South Vancouver. To date we have had over 8 B-Trains of material enter our grounds and have been sorting debris throughout the summer. 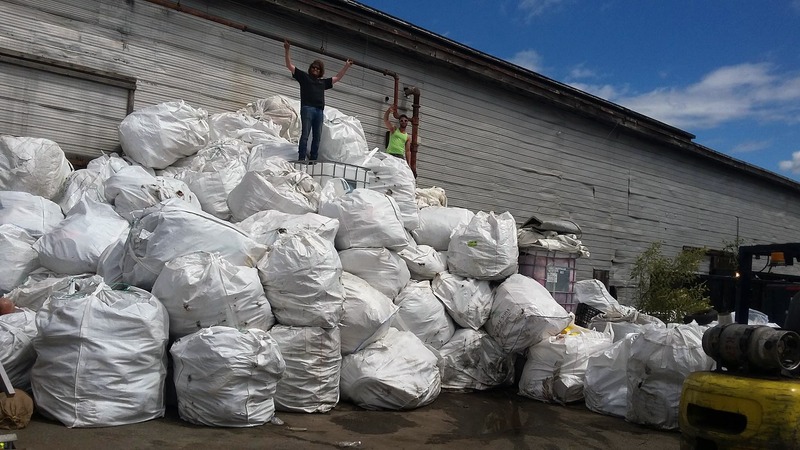 We are estimating that by the end of the collection season we will have collected over 500 supersacks (1 cubic yard each) of materials with additional loose itmes which consist of tires, barels, pallets, hundreds of buoys, over 150 cubic yards of mixed foam, and unidentified objects. 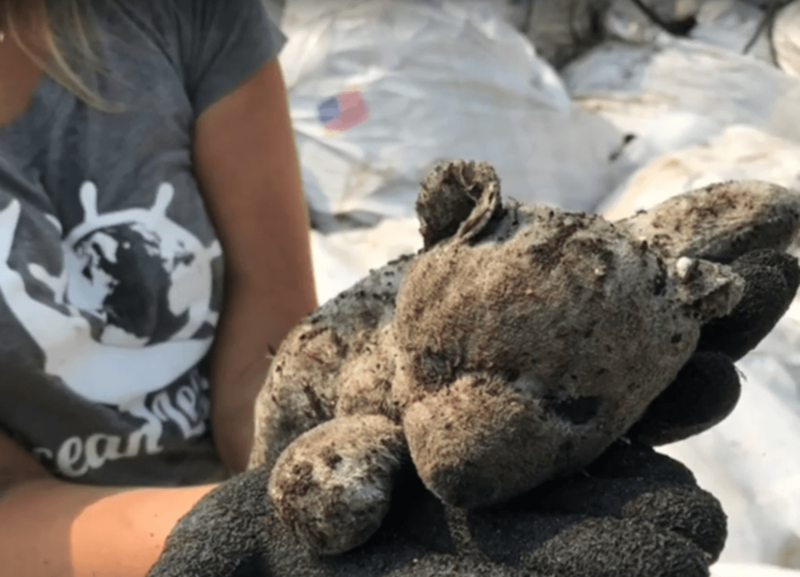 It is estimated that about 1/3 of the material collected from the West coast of Vancouver Island is from the devastating tragedy of the 2011 Tōhoku earthquake and tsunami. This earthquake was registered at a magnitude of 9.0 (Mw) and reported 15,894 deaths. 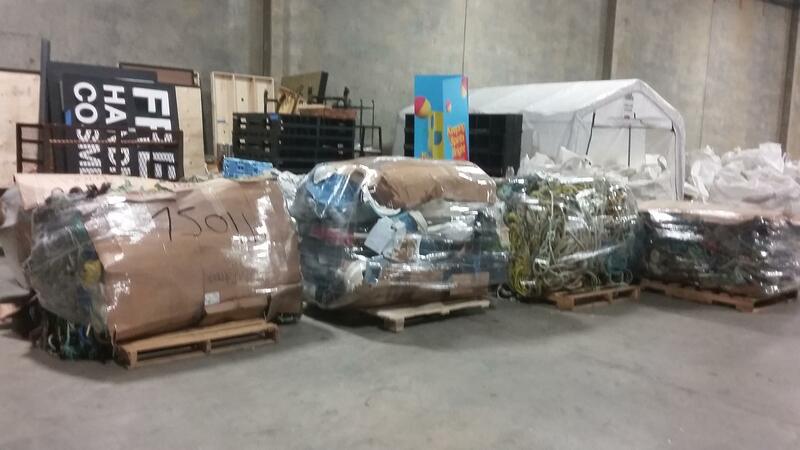 It is with care and respect that we help to recollect this drfitage and return some of these items back to the Japanese people. We thank the Japanese people for their previous financial gift which allowed this work to gain great momentum in British Columbia over the previous years. It has been our upmost priority to arrange after life solutions for this debris to the best of our ability. In 2015, we were able to purchase our first plastic to fuel machine to begin converting various plastic resin codes back into a usable fuel. The generous financial gift given by the Japanese Ministry of Environment and the BC Ministry of Environment helped launch this project in 2016. 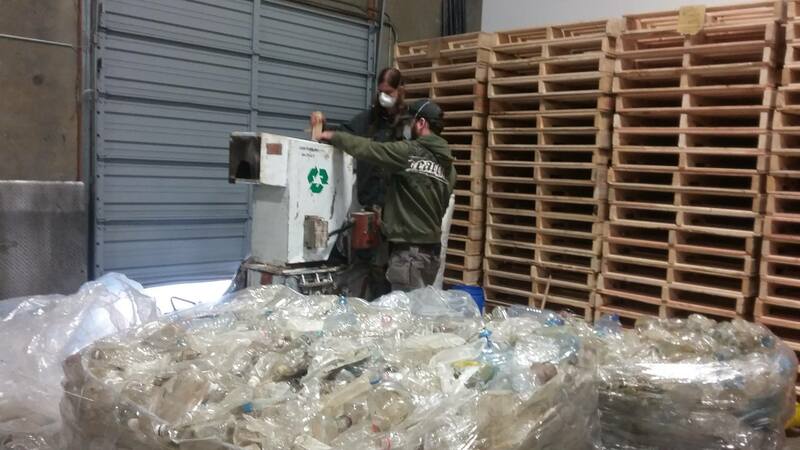 The reclamation of driftage and marine debris fosters cross-sectoral collaboration!! Huge thank you to the thousands of people this year that made a difference. 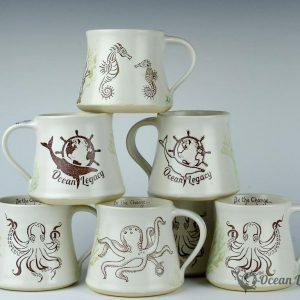 The second annual 14-day Upcycle Challenge from October 7-22! 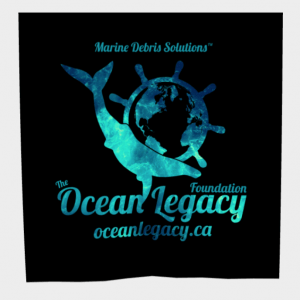 We wanted to start by thanking all of the countless volunteers, the Vancouver Island Marine Debris Working Group and the many sponsors who have made this good work possible! You are all the true heart of restoring crucial coastal ecosystems. We would also like to acknowledge that land access was granted by many First Nations communities to the Working Group in order to clean and remove debris down the West and East Coast of Vancouver Island, Gulf Islands and residing waterways. 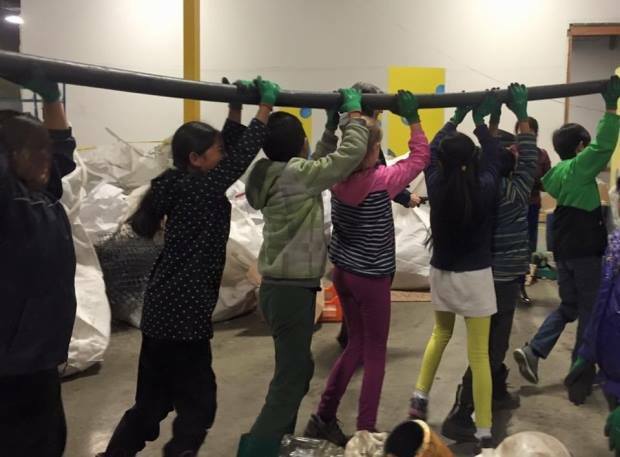 We will be sorting material on the unceeded lands of the Coast Salish Territory. AMENITIES: There will be port-o-potties, limited water and power on site. FOOD: To be clear- there is no available kitchen this year on site. Please bring your lunch and snacks for the day. Subscribe to the Blog Updates!